Find the right tour for you through Suketar Airport. We've got 6 tours going to Suketar Airport, starting from just 14 days in length, and the longest tour is 29 days. The most popular month to go is May, which has the most number of tour departures. "I had a great and quality time during the trek of kanchenjunga and i am very much..."
"'' I had done the Lumba Sumba pass treks with Tashi sherpa as my Guide. 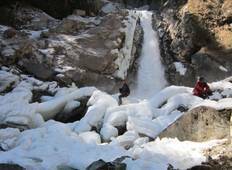 The fact..."
"What a trek it was?We had a good and great time on this trek as it met our expectations..."
Sherpa Expedition & Trekking Pvt. 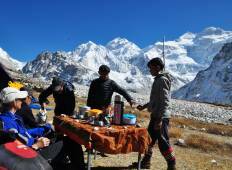 Ltd.
"Exceptional and fantastic trek, We are very much happy and satisfied with this Kanchenjunga..."